Cy Twombly, Untitled, 1970. Distemper and chalk on canvas. No particular reason to post this, other than that I find it beautiful and inspiring. But what else could possibly matter as much as that, anyway? 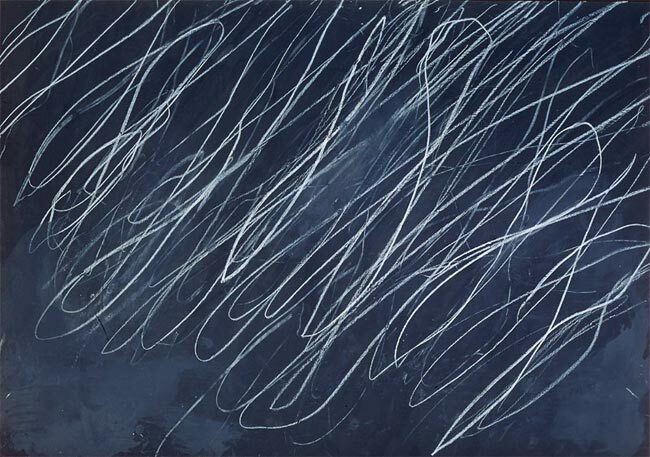 The beautiful images of slime molds I posted earlier today in a story about intelligent slime molds must have got me thinking about Twombly’s work. See also: Cy Twombly, April 25, 1928 – July 5, 2011.